Cannabis software maker Ample Organics Inc. has beefed up its data capabilities by acquiring Last Call Analytics for $6-million. Last Call currently operates a retail sales data platform for the alcohol industry in Canada and the United States, tracking 8.5 million transactions on its system every day. Some of its 25 customers include Breakthru Beverage Group and Brown-Forman. By buying Last Call, Ample is looking to offer similar services for Canada’s nascent recreational cannabis market, capitalizing on a competitive market where licensed growers are fighting for market share and want to know how they stack up against their rivals. In most of Canada’s major retail recreational markets, the cannabis growers can’t sell their own products to consumers, meaning they lack visibility at the point of sale. For its part, Ample has already cornered Canada’s medical market, serving more than 70 per cent of the legal growers, according to chief executive John Prentice. Those producers have shipped two million orders of medical cannabis to patients. Nearly 80 per cent of the country’s active patients are registered in the Ample database, he said. Last Call already has relationships in place with the major liquor agencies in Canada, which are also wholesalers – and some are even retailers – of legal recreational cannabis. To date, Mr. Prentice says wholesalers send growers monthly snapshots of how their products sold. Ample hopes to capture every transaction on its platform so customers can have a bird’s-eye view of the entire Canadian market. 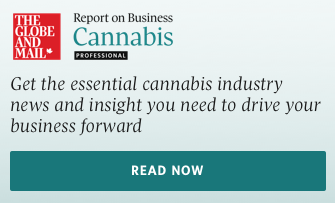 Other analytics companies are trying to corner the cannabis data game. Earlier this month, Canopy Rivers Inc. invested $4-million in another analytics software company Headset Inc. BDS Analytics of Boulder, Colo., is also vying for the same clientele.